Unfortunately, a new report about mortality rates for young people gives us cause for sadness. The National Center for Health Statistics at the United States Centers for Disease Control and Prevention recently found that there has been a significant rise in accidental deaths, homicides, and suicides among young people in the United States. The total death rate for 10- to 19-year-olds in the U.S. has increased 12% since 2013. This increase represents a marked change from the declining trend over the last two decades. Between 1999 and 2013, the death rate among young people had declined by 33%. The data revealed that the leading causes of death among young people are unintentional injuries, mostly from automobile accidents, followed by suicide and homicide. Motor vehicle traffic fatalities accounted for the majority of unintentional injury deaths to teens, at 62%. Poisoning (most of which are drug overdoses) and drowning accounted for 16% and 7% of the accidental deaths, respectively. Indeed, with regard to fatal motor vehicle accidents, other studies support the latest National Center for Health Statistics findings. One study indicates that one out of five 16-year-olds will be in a car crash. Moreover, during a young driver’s first six months, and first 1,000 miles, the crash risk for that driver is the highest that it will ever be during his or her lifetime. Even though young drivers represent only 13% of licensed drivers, they cause 28% of all car accidents, and 24% of all fatal accidents. We all know that distracted driving due to the use of a cell phone is a problem that is not going away anytime soon. With young people particularly susceptible to 24/7 use of their smart phones, it comes as no surprise that cell phones is a factor in the increased numbers of deaths among teens. We can literally say that cell phone use while driving kills people every year in West Virginia. Further, other passengers in a young person’s car can lead to distracted driving. Studies show that, for teenagers, adding one passenger to a car increases their crash risk by 48%. That risk goes to 258% with two passengers in the car, and 307% with three or more. However, that only tells part of the story. It is possible that the cause could also be related to the mental well being of our young people today. Director of Pediatrics at Johns Hopkins Medicine, Dr. Tina Cheng, noted that the recent report from the National Center for Health Statistics confirms what she has observed in her work. She has seen more children coming to clinics and emergency departments with mental health issues, including depression, suicidal ideation, and aggression. Further, the current opioid epidemic in this country is also likely a contributing factor. Accordingly, tending to the mental health of our young people will likely help these sad trends. The rules below will likely only help your teen if you have open, honest communication with him or her. Listening to your teen has been proven to be perhaps the best way to get your teen to listen to you. That said, these are some of the five most important rules to safe teen driving to consider or at least discuss with your teen. Night Driving Limits. Because approximately 40% of fatal auto accidents occur at night, you may want to limit your teen’s unsupervised driving after 10 p.m. Passenger Limits. Given the exponential increase in the risk of a crash as each passenger is added to a young person’s car, you may want to ensure one under the age of 18 is in the car during a young driver’s first year of driving or some similar guideline to help keep your teen safe. No Cell Phone. 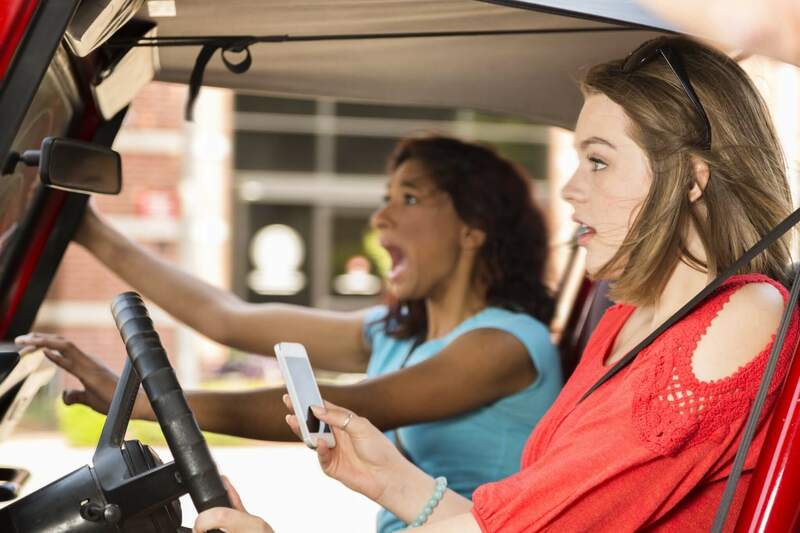 Teens are more likely to use cell phones behind the wheel than any other age group. Make the cell phone off-limits while driving. No Alcohol, or Other Drugs. Driving under the influence remains a serious issue among young people. Mandate that driving should never occur when under the influence. Ride sharing apps like Lyft and Uber now make it very easy for young people to avoid getting behind the wheel when impaired. Seat Belts, Always. It goes without saying that study after study supports the fact that seat belts, by and large, save lives. Thus, teach your teens early that buckling up is the first thing you do when you get in a car. While the recent National Center for Health Statistics report does not spell good news for the current state of affairs regarding the safety of our young people, it is a silver lining that the report tells us there is a problem. Armed with the knowledge that we are in a worrying trend, we can now do what it takes to get back on the right track. Awareness of a problems is the first step in fixing it. We wish you and your family safe travels on our roads. Unfortunately, almost everyone will be in an automobile crash at some point in their life, however. If you or a loved one is injured because of someone else’s negligence or at work, we invite you to call us for a Free Case Evaluation. Our toll free number is 1-877-943-9378 (WEST), and at West Law Firm, there’s never a fee unless we recover compensation for you.